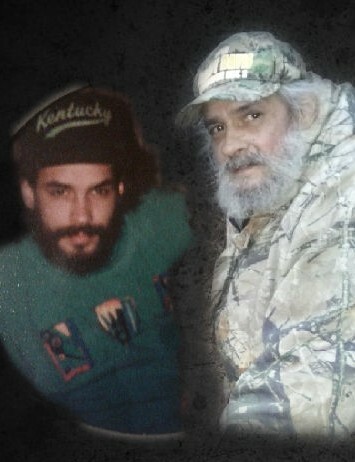 Johnny Wayne Frasure, age 59, of Martin, KY, husband of Nikki May Frasure, passed away Tuesday, March 19, 2019 at the Hazard ARH, Hazard, KY. He was born July 11, 1959 in McDowell, KY, a son of Liz Bailey Allen and the late James “Jimmy” Ray Frasure. He was a member of the Martin Church of Christ and a retired coal miner. In addition to his wife and mother he is survived by two daughters; Kimberly Nicole Akers (Josh Bentley), Allen, KY and Cheyenne Flannery, Martin, KY, one son; James Boyd (Debra Slone), Lexington, KY, two sisters; Jennifer (Tommy) Compton, Martin, KY and Janet Frasure, Wayland, KY, one brother; Kenneth Raymond Allen II, Allen, KY, four grandchildren; Johnathon Wayne Frasure, Jace Austin Bentley, Rosalie June Boyd and Peyton Yates, four nieces; Cindy Gibson, Lakin Ellis, Kayla Gayheart and Ashleigh Goff, two nephews, Quentin Foley and Jarrod Robinson, raised and loved as his own children; Justin Miller and Antonio Voight and two sisters-in-law; Paula Ann May and Pamela Robinson. He was preceded in death by his step father; Kenneth Raymond "Buzz" Allen and one brother; Steven Ray Frasure. Funeral service will be conducted Friday, March 22, 2019 at 7:00 p.m. in the Hall Funeral Home Chapel with Gary Mitchell officiating. Visitation is from 1 until 7 p.m. Friday at the funeral home, under the professional and dignified care of the Hall Funeral Home, Martin, Kentucky.